NEW YORK, March 13, 2019 /PRNewswire/ -- Shutterstock, Inc. (NYSE: SSTK), a leading global technology company offering high-quality assets, tools and services through its creative platform, today launched in-app contributor registration for both Android and iOS platforms, available in 21 languages. With this update, becoming a Shutterstock Contributor has never been easier. "Our growing base of over 650,000 contributors around the world upload nearly half a million assets from the Shutterstock Contributor app every month," said Jon Oringer, Founder and CEO of Shutterstock. "We're thrilled to enhance the in-app experience for today's generation of highly-visual, mobile-first users. 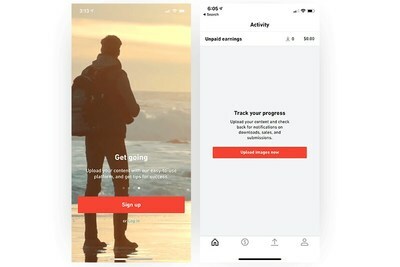 Now iOS and Android users can sign-up to become a contributor straight from the app and start making money from their mobile imagery instantly." Shutterstock has also updated its customer app, which enables easy browsing of similar images, one of Shutterstock's most popular search features helping customers to quickly find the image they are looking for.